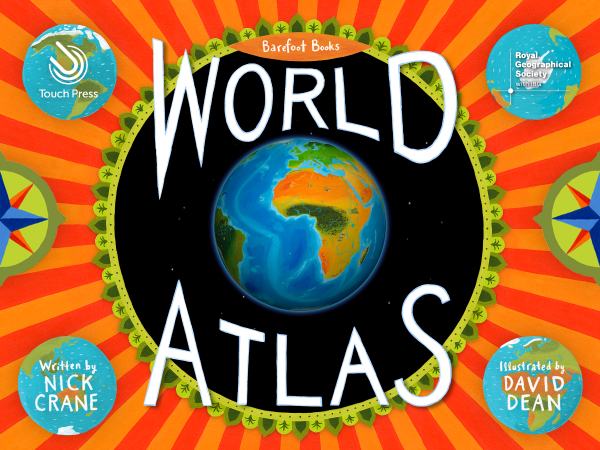 For younger children, the Barefoot World Atlas app is a beautiful introduction to our world. 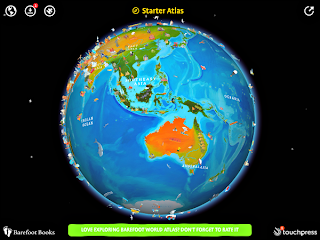 It offers an interactive 3D globe to explore with points of interest scattered around. You can also buy expansion packs to suit. 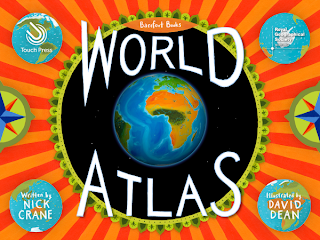 We've added the Great Cities and World Art ones so far. You can zoom in and out and read or listen to information specific to each location. Such a amazing looking app as you would expect from the Barefoot group. 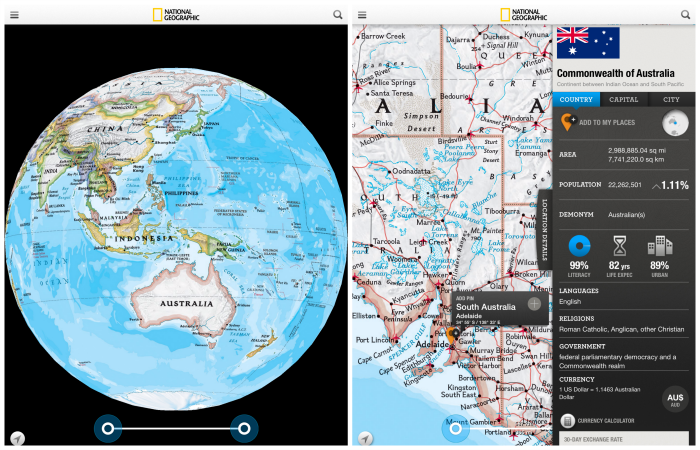 For teaching older children about location, I love the National Geographic World Atlas app. You can look at the planet from a distance or zoom in for a closer look. Drop a pin and then a sliding tab appears giving you keep information about that location. As an aside, I've also found their Interactive Map Maker to be a fantastic resource for the Interactive Whiteboard for Geography discussions. You can add different layers like Climate and Rain or Lights at Night. 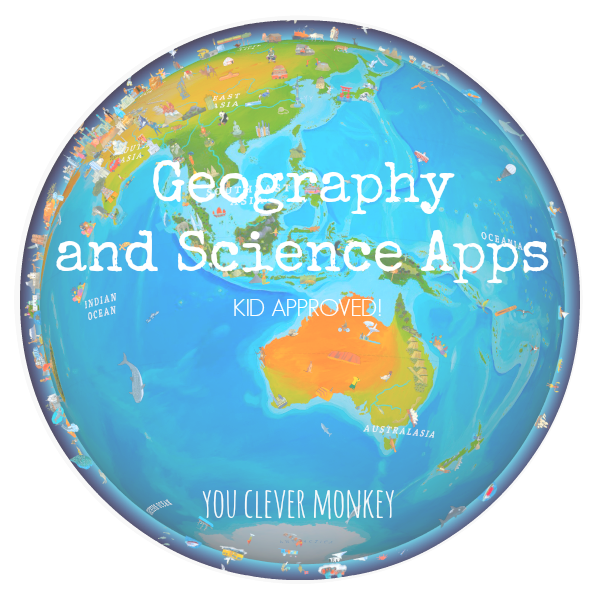 Mobile Montessori have some fantastic geography apps. I particularly like their Animals of Africa, Animals of Asia and Animals of North America apps as they are a great resource to have on your iPad for Junior Primary or Elementary students beginning to learn how to research information but you really need to purchase the full app as you only see a handful of animals on the free versions. There's just enough information to be interesting but not too much to confuse young children. Perfect for informative writing pieces. Crossing over to the science of geography, my three have all enjoyed trying to solve the puzzles in Water Cycles. We live in one of the driest states in one of the driest country's in the world so I feel it is important for my children to know where our water comes from and how valuable a resource clean water is particularly as we are solely reliant on rainwater at our house. To play, you need to move the tiles into the right positions to allow the water to move from the mountains to the towns and cities then treated before heading out to sea. Our most favourite tinkering app would have to be Pettson's Inventions 2. We added this app to our iPad a couple of Christmases ago and it have both children and adults alike trying to 'make' the inventions work. There are 37 different inventions to make. Some require trial and error until you start to see how things fit together. Other great apps exploring for young children exploring early physics principles would have to include Disney's Where's My Water? 2. It's a fun game that all three of my kids keep returning to. 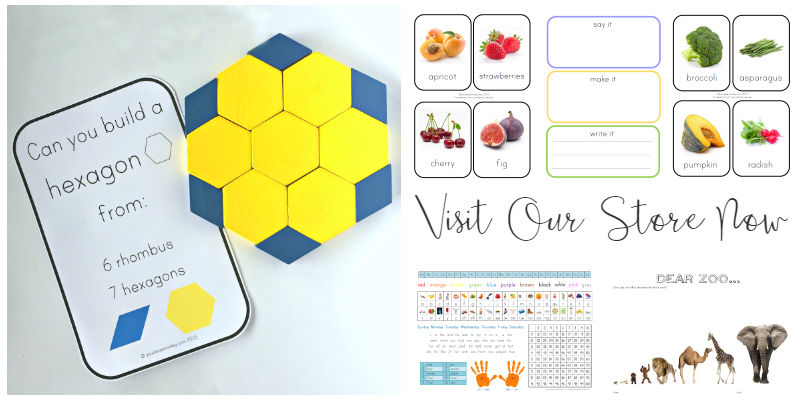 More recently we added Meet Science: Magnetism and Electricity which seems to be the perfect blend between game and text book for older children. It is a large app as it has loads of videos you can watch including some great experiments to try. For younger children, Toca Doctor HD is a fun way to begin exploring the human body. 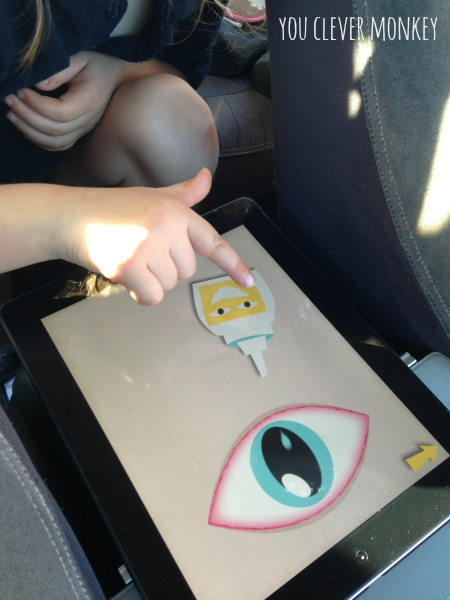 Toca Boca make some of the best kid's apps and this one is no exception. We started with the free version but quickly upgraded to the full version. Children can fix a broken leg, clean teeth, fix a stomach ache, 18 different games for pretend. 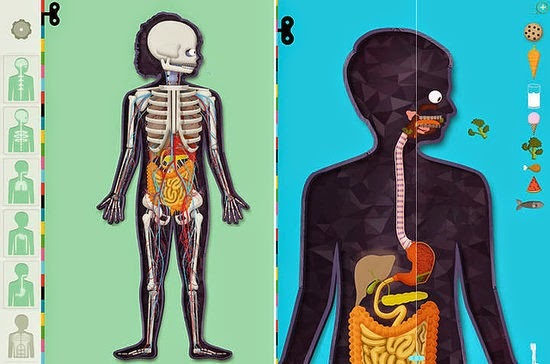 For slightly older children there's TinyBop's The Human Body app. You can layer the different systems and look at each one individually - skeletal, muscular, circulatory, respiratory, digestive and muscular systems. They provide a working model of our bodies - how an eye works, what happens for our food, how our skeletons support us. You can also purchase the reproductive system to add to the layers if you wish.